Excellent food and dine, very good ambience. Would definitely visit the place again and recommend all to visit at least once. A must go Place for Non-Vegetarian Food lovers. Vegetarian Menu is too small and hence not advisable for people with veg food habits. Sheesha is available as well. However, they don't serve alcohol. The resto at Andheri west is amazing. Ambience is great. Ideal for friends and family. Crowd is decent. Ideal for romantic dinners. Food service is great. 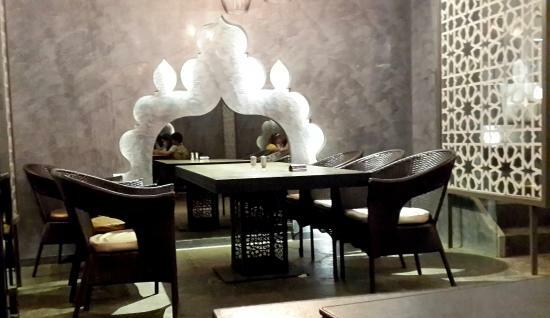 Been here to enjoy Mughlai cuisine and really liked it. The food was quite nice and well prepared. Even the service at the outlet was very good. Went there for our anniversary, good ambiance, nice food. Little slow service, But who cares.. Hokkah being served, and that was good..!! Get quick answers from Koyla Ethnic Cuisine staff and past visitors.